People who make regular periodic payments, such as rent, mortgage, child support or insurance premiums may sometimes fall behind in those payments. When this happens, the amount due but unpaid is called arrears. Most such arrangements have provisions that permit you to return to good standing if you can pay the amount in arrears, which can be calculated relatively easily with simple math and a copy of the payment arrangement. Locate the document that sets up the payment arrangement, whether it's a housing lease, consumer loan agreement, or court order, and review the payment terms, especially any provisions regarding falling behind. 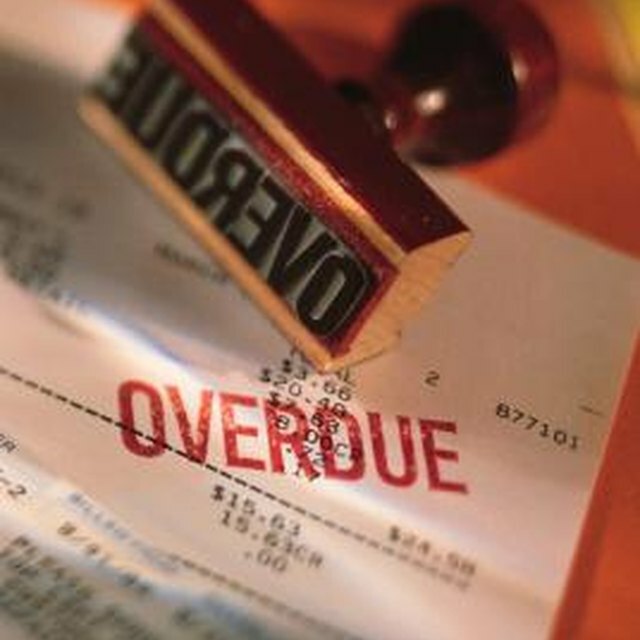 If there are periodic invoices, they will note the amount in arrears, usually called "past due." Determine the beginning balance of court-ordered payments, such as for child support, as well as the start date, amount of each payment and the frequency of payments. This information can be found on your court order to pay. Multiply the payment amount by the number of payments between the start date and the current date, and add to that figure any amount due at the time of the court order. From this amount, which is the total of all payments scheduled to date, subtract the total of all payments you've made. The difference is the arrears amount. Calculate your arrears for payments such as rent, insurance premiums, tuition payments and the like by multiplying the monthly amount by the number of months unpaid, plus any late fees or other penalties. Subtract from this figure any partial payments you have made since the last month for which you paid in full. The result is your arrears. Note that most lenders will keep you informed as to the size of your arrears in the event you fall behind; however, many mortgage lenders, once you fall in arrears, will not accept partial payments, but will only accept payments that will bring your account current. How Do I Calculate the Principle & Interest of a Car Loan? Oklahoma Department of Human Services: What are Arrears?